Rhino is such a special boy. 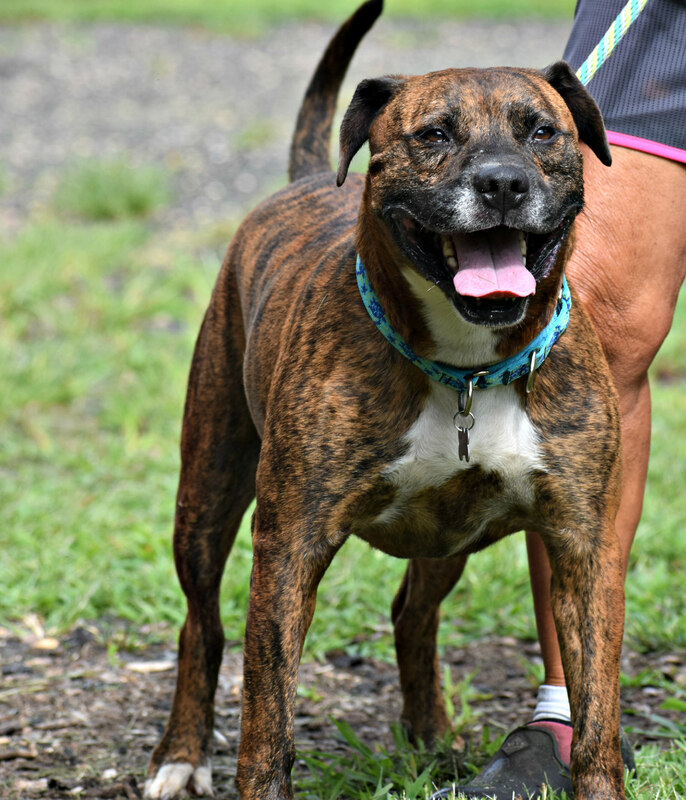 He has come such a very long way from the day that he was dumped by his 'owner' to a local, N. J. shelter and was then rescued by Rescue Ridge in central N. J. At first, Rhino was very fearful, and did not allow anyone to even go near him. Poor boy...he lived for five years outside with a very heavy chain around his neck and a stake in the ground. 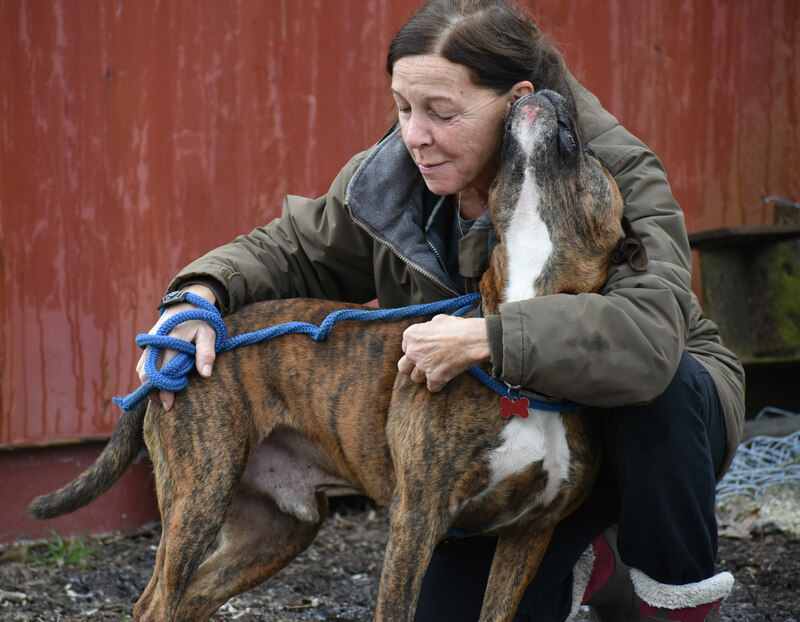 Now, at Rescue Ridge, he has learned to trust the volunteers at Rescue Ridge and loves his time in the play yard and walks with the volunteers and even with other dogs. He even has made some female dog friends. 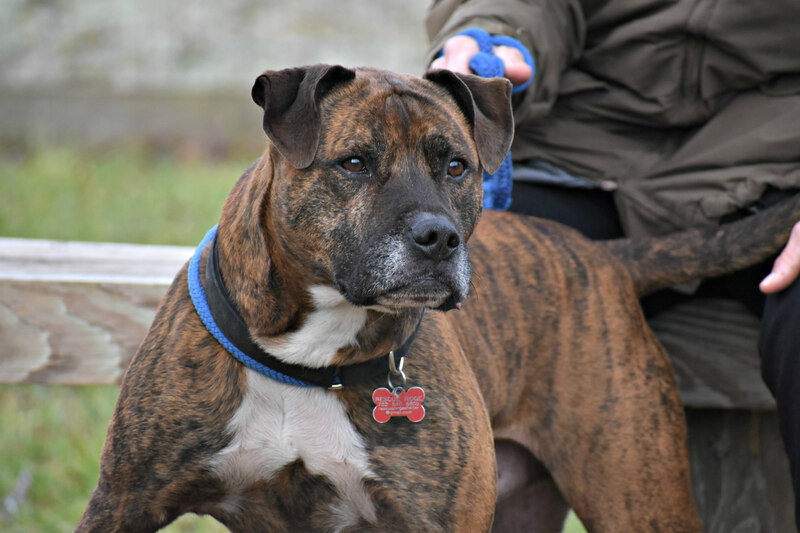 Rhino has shown himself to be a most loyal, loving 5 yrs. 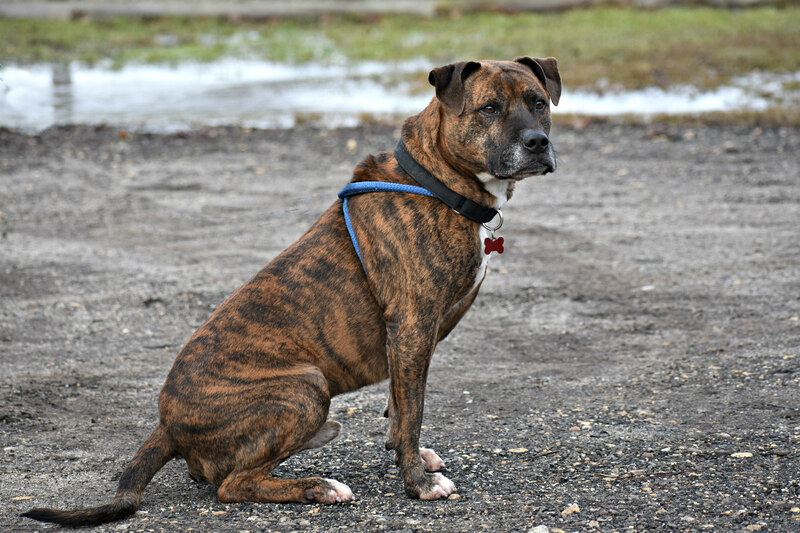 old, Staffordshire Terrier/ Boxer mix boy. He now knows what it's like to be a real dog. He loves to go for car rides and is very well mannered. 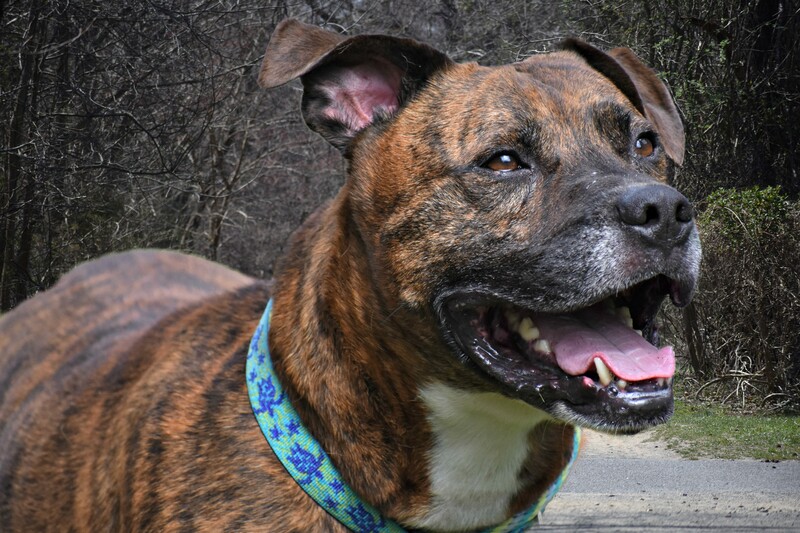 Rhino needs a quiet adult home. He is affectionate and easy going once he trusts you. Please...he needs a home. He deserves a home. Will you help Rhino? 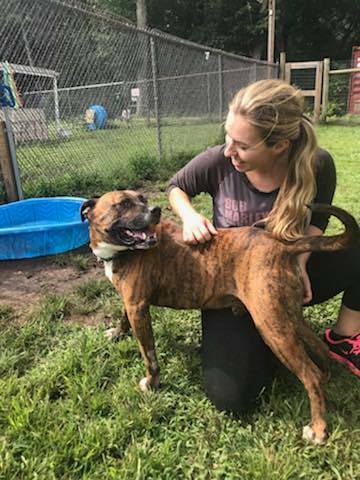 Please apply to adopt Rhino at rescueridge.com and text 732 546 8805 to meet him. 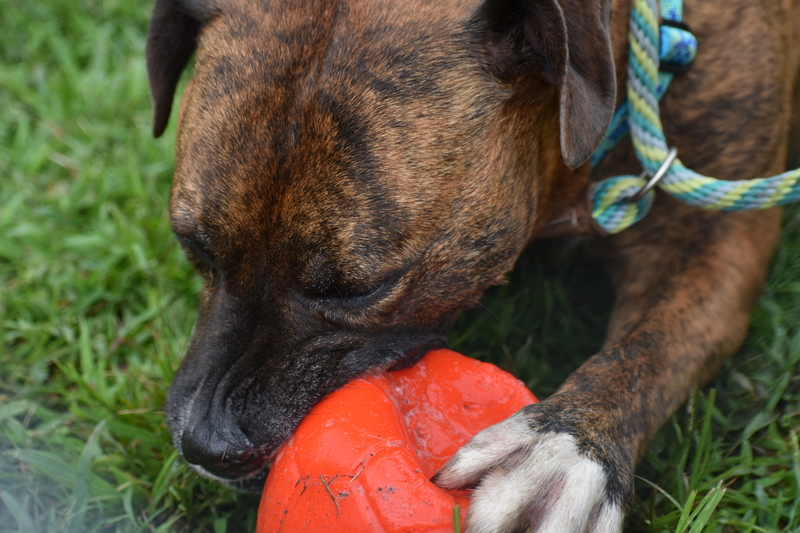 Here is Rhino in his latest video playing with Kola and one of our amazing volunteers. https://youtu.be/lkJuIIRyye0 Kola found her forever home. Will you help Rhino find his? Please share. Rhino is such a special boy. 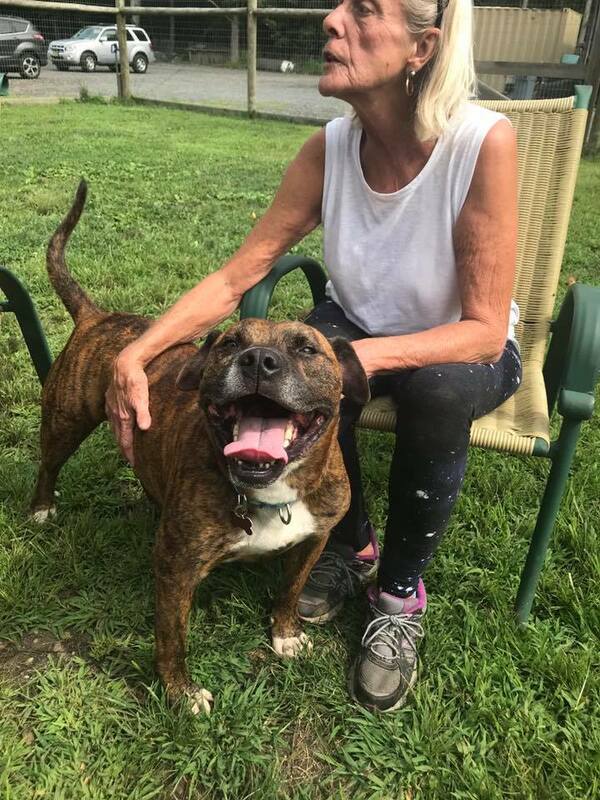 He has come such a very long way from the day that he was dumped by his 'owner' to a local, N. J. shelter and was then rescued by Rescue Ridge in central N. J. At first, Rhino was very fearful, and did not allow anyone to even go near him. Poor boy...he lived for five years outside with a very heavy chain around his neck and a stake in the ground. 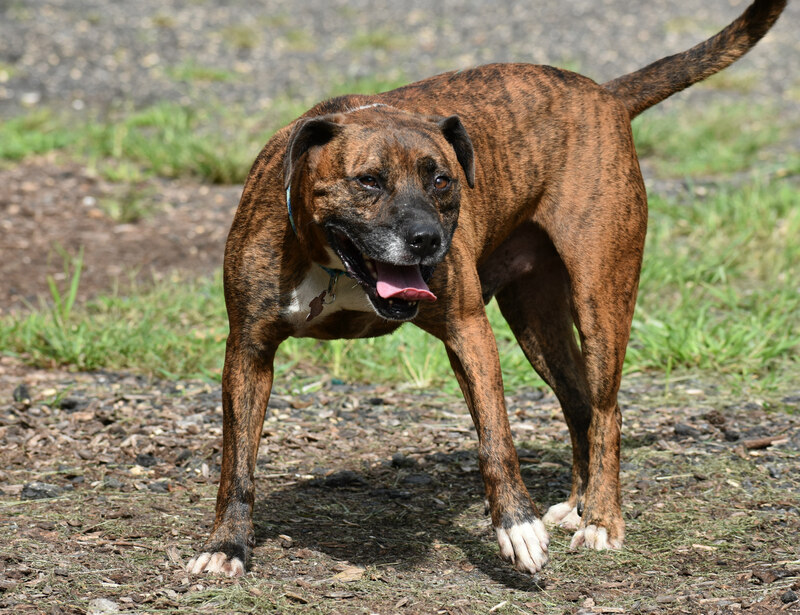 Now, at Rescue Ridge, he has learned to trust the volunteers at Rescue Ridge and loves his time in the play yard and walks with the volunteers and even with other dogs. He even has made some female dog friends. 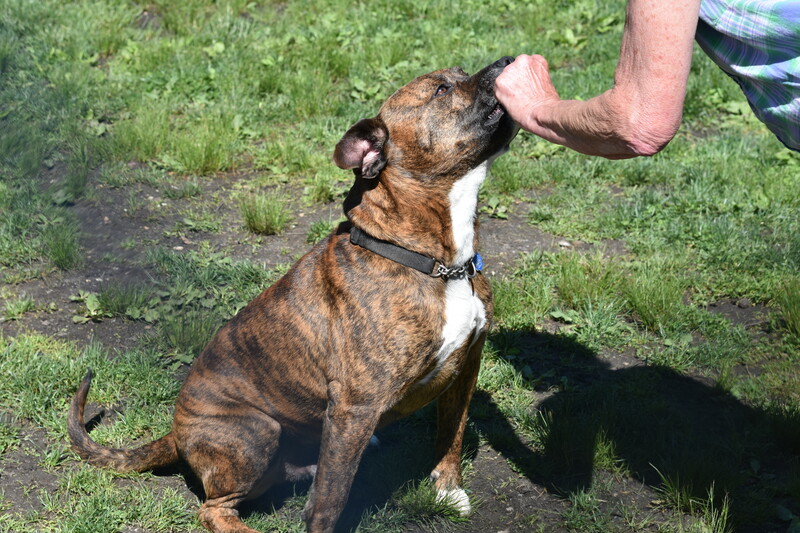 Rhino has shown himself to be a most loyal, loving 5 yrs. 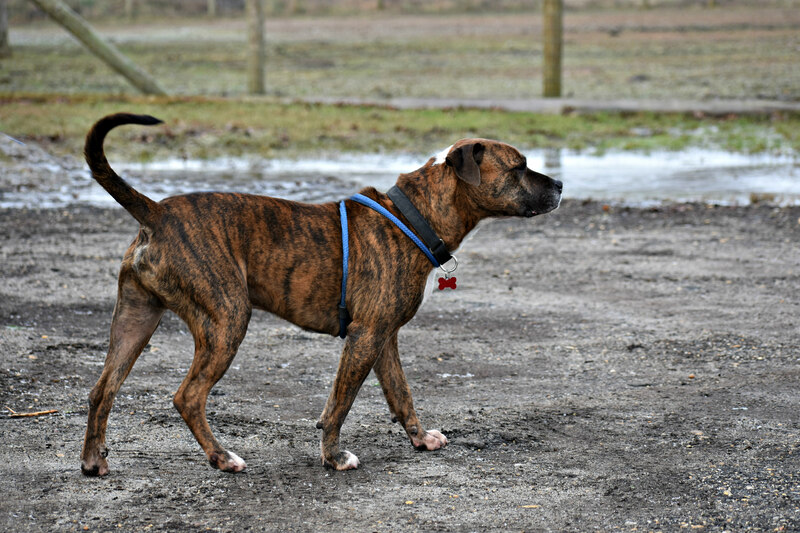 old, Staffordshire Terrier/ Boxer mix boy. He now knows what it's like to be a real dog. He loves to go for car rides and is very well mannered. 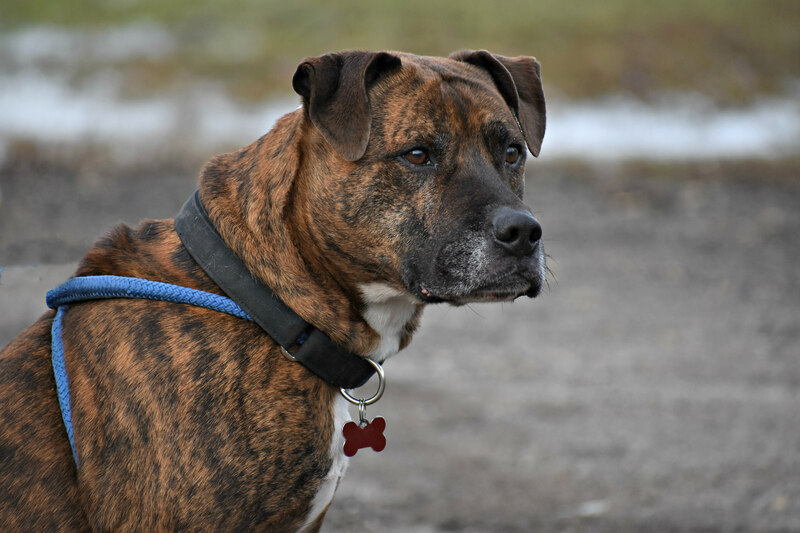 Rhino needs a quiet adult home. He is affectionate and easy going once he trusts you. Please...he needs a home. He deserves a home. Will you help Rhino? 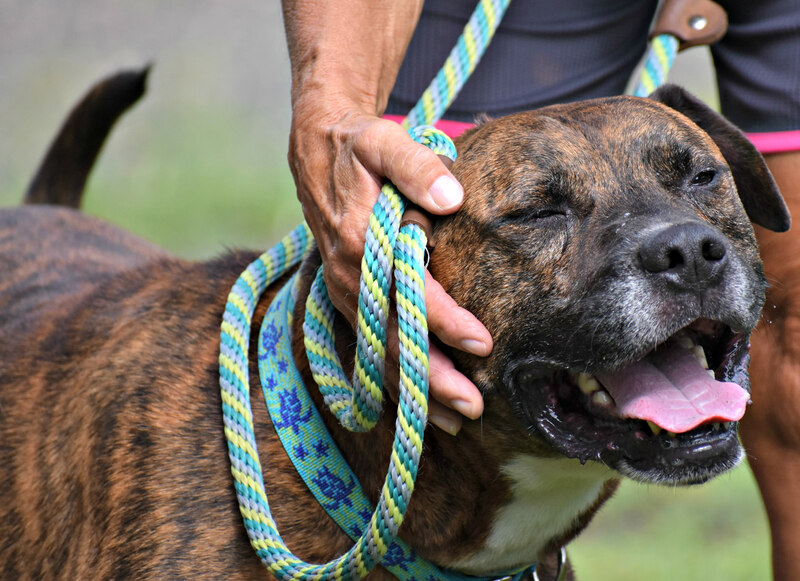 Please apply to adopt Rhino at rescueridge.com and text 732 546 8805 to meet him. Kola found her forever home. Will you help Rhino find his? Please share.